I guess cafe collaborations to promote Peach Ball: Senran Kagura are going to be a reoccurring thing! The second Peach Ball: Senran Kagura cafe collaboration has been announced, and it's being held at Animate Cafe locations. The collab kicks off Jan. 17th, 2019 and runs to Feb. 26th, 2019. 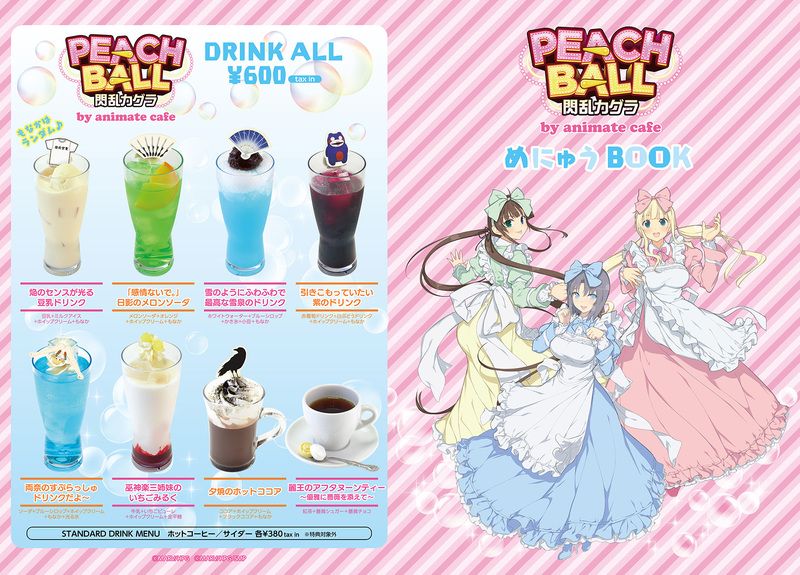 Just as last time, there will be Senran Kagura-themed drinks, meals, and special merch to grab. Check out all the goodies here!